Easily positioned to cover all required areas. Complete wide-area coverage from just one camera – no blind spots. Used in conjunction with the Viseum Intelligent Moving Camera. The world’s most advanced and highest quality Fisheye CCTV Camera provides up to fourteen simultaneous electronic Pan, Tilt, and Zoom (ePTZ) and Panoramic video streams to be recorded or viewed live. Multiple ePTZ streams allow each user to control the camera as if it was their own unique PTZ Camera without interference to the other users. De-warping is provided within the camera, reducing the load on the infrastructure and improving overall performance. 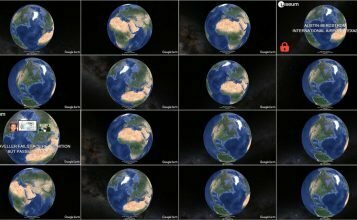 Images can also be viewed via a standard web browser. This Fisheye Security Camera has no moving parts, so no wear and tear and vastly reduced maintenance costs. The camera’s full 360 degree horizontal, 180-degree vertical field of view and industry-leading megapixel resolution, means our customer’s camera count can be greatly reduced with no blind spots. Cover up to the size of 4 Olympic stadiums from a single camera installation. Automated 360-degree panoramic detection and following of incidents. More convictions using extended dual evidence – close-up view and wide view of each incident. 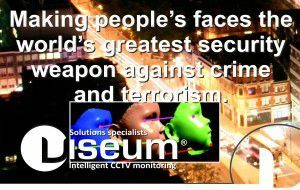 This Fisheye Security Camera outputs the full panoramic image for recording purposes, which can be combined with Viseum’s Integrated Central Intelligent Video Management System to provide retrospective ePTZ. This allows you to go ‘back in time’ and follow subjects as if you were still viewing live. What are the benefits of using our Fisheye Security Camera? Up to 14 live panoramic and close-up streams whilst simultaneously recording the full scene. 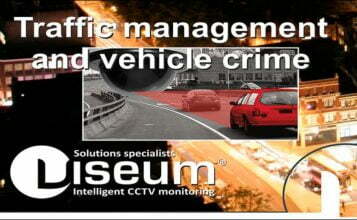 Operates with Viseum CiVMS and integrates with many 3rd party NVR and VMS Systems. De-warping in camera reduces network bandwidth and image processing loads. Provides complete situational awareness in a single compact camera unit. Full Hi-Res 360˚ image stream for post-event analysis. Optimized post-event analysis for every situation. Reduces camera count, cable, and monitoring infrastructure. No moving parts extend life expectancy. 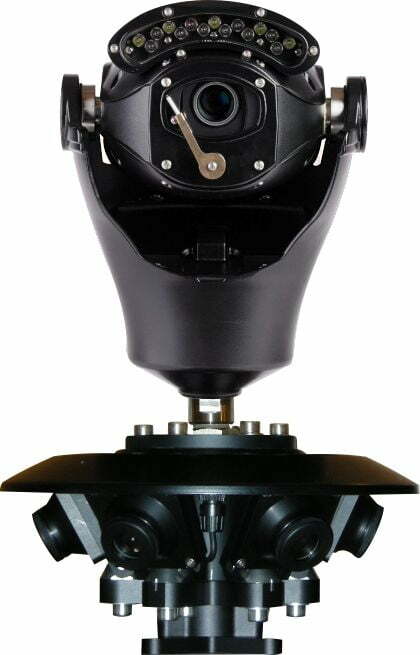 185° Fisheye CCTV camera Lens. 10 user-defined zones for video motion detection alarms. Built-in video motion tracking allows multiple close-up camera views to automatically follow multiple people and vehicles. 5 Watt PoE or 12VDC. Vandal-Resistant Internal/External housing, with surface or flush mount options. Low profile housing option available for transport applications. Day and night versions also available.